We have over 35 paid staff members who work across the county. See the location pages here for more detail about who works where. The Young Carers Project team is headed up by Kate Rees. Please see the team page here and contact youngcarers@centre33.org.uk for all queries including referrals. 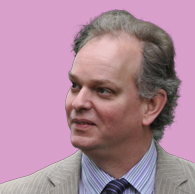 The Schools Counselling Service is headed up by Chris Baines. Helen Eves leads our Participation work. The ‘Someone to Talk To’ Team is headed up Helen Baker in Fenland, Peterborough and Huntingdon and Catriona Smith in Cambridge and South and East Cambs. Fiona Morrow co-ordinates the information and support element of the service and Chris Baines is our clinical lead. Click on any team member’s picture to see their biography. 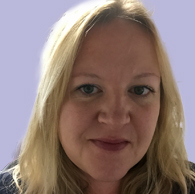 Michelle is responsible for a busy admin team covering HR, training, communications, property, IT service support and anything else that crops up. Prior to joining Centre 33 in 2015 Michelle worked in marketing and administration for a diverse range of organisations, including Waterstone’s and the Hayward Gallery. She has been active in the world of disability for some years and been a Trustee for pinpoint (parent/carer forum) and for Realize Belize who campaign for and support disabled people and their families. Meg is responsible for developing and supporting our teams to deliver excellent, safe and responsive services to young people while developing good local relationships with other organisations. Prior to this role Meg managed the Information and Support Service after joining us in 2014. 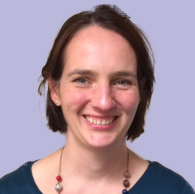 Meg has worked within the voluntary and public sector for 14 years working as Head of Education at the MS Society and in a range of roles, supporting young people’s relationships and sexual health. 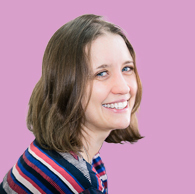 Meg holds an MSc in Health Promotion, was a Trustee of a sexual health charity previously and is an experienced train the trainer. 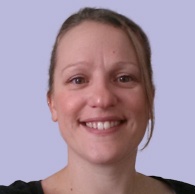 Kate is responsible for the development and delivery of a high quality young person led, Young Carers Service. Kate has worked directly with Young Carers since she joining Centre 33 in 2005 and has a comprehensive understanding of the issues they face, the challenges presented, and ways to address them. 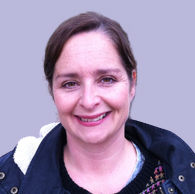 Kate has worked within the voluntary and public sector for 16 years working in a range of roles, supporting families and young people, looked after young people, and young offenders. 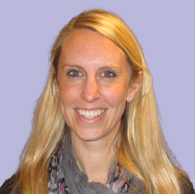 Kate holds a BA Joint Hons in Childhood Studies and Professional Practice Studies. Has worked with young carers at Centre 33 in a number of different roles since 2007 and is experienced in providing focused, young people led 1:1 and group support. 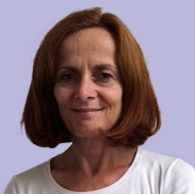 Helen is responsible for delivering, and supporting project workers to deliver services to meet the needs of young carers and for ensuring that young people within Centre 33 have a voice and are meaningfully involved in shaping services. 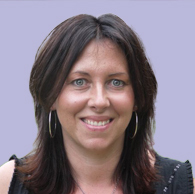 Helen has a BSc in psychology and over 11 years’ experience of working with vulnerable young people. Helen joined Centre 33 in 2015 and oversees the running and development of these three hubs which she also opened for us as part of a new expansion. 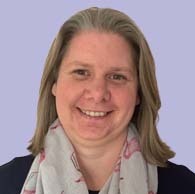 She has worked in the voluntary sector for 12 years, previously at Deafblind UK, starting as a PA to a Head of Department (who was Deafblind) and holding various roles from fundraising, volunteer co-coordinating and finishing her time there as Service Manager for England and Northern Ireland. 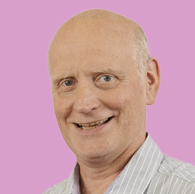 Gavin joined Centre 33 in the summer of 2018 to develop the charity’s fundraising strategy. He is primarily responsible for increasing unrestricted income from individuals, the local community and corporate organisations. He is also heavily involved in trust and grant applications. Gavin has worked as a fundraiser in the charity sector since 2013, holding roles at Headway Cambridgeshire and Papworth Trust. Prior to this he held a number of communications and marketing roles. He has a degree in English and Philosophy from the University of East Anglia. 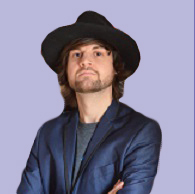 He is also a musician; having released two albums and performing in a rock ‘n’ roll band. 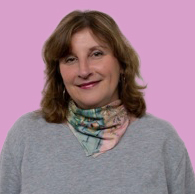 Fran has worked at Centre 33 since 2009 and leads a team responsible for all aspects of finance and budgets and human resources, ensuring we are compliant with current legislation. Previously she was a Finance Director leading a start-up company to a turnover of 1.3million and Finance Manager for a local charity. She carries out consultancy work for local organisations mainly based around improving Finance systems and Quality Management and has a keen interest in supporting in her local community. She is currently involved in supporting the setup of a community youth group. Fiona is responsible for delivering, developing and supporting the ‘Someone to Talk to’ team to provide safe and responsive services to young people that engage with our drop-In service. In addition to recruiting and managing volunteers who support the service she manages any PSHE or schools outreach work/requests. Prior to this role, Fiona managed the Information and Support service as a maternity cover and joined Centre 33 in 2014 as a volunteer. Chris joined Centre 33 in 2012 and is responsible for managing our schools mental health work and is also our clinical lead for the mental health service. 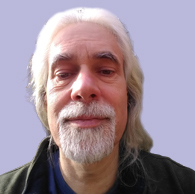 He has worked as a tutor teaching psychology and counselling. 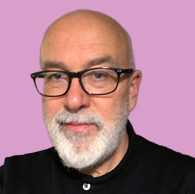 Chris holds an MA in Psychotherapeutic counselling, MSc in Psychological Research Methods among other qualifications and has supported many volunteer counsellors to help their development into qualified, competent therapists. Catriona has the day-to-day responsibility for the smooth running of the ‘Someone to Talk to’ service. 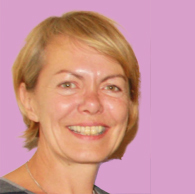 Prior to working at Centre 33, Catriona was a social worker/manager and has worked in the Youth Justice system, Safeguarding and Inspection teams in Social Care and the Ministry of Justice. 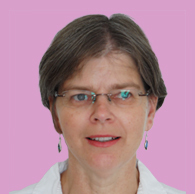 She has a BA(hons) Philosophy, Dip in Social Work and Dipoma in Forensic Psychotherapy. My professional background is in the NHS, but I now work in the criminal justice system so have experience of working with vulnerable young people. I am a supportive people person and have a historical knowledge of the organisation (I’ve been involved with Centre33 since 2006). 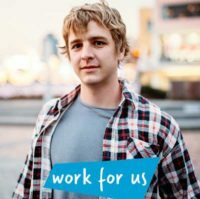 I am the Policy and Research Manager for the homelessness charity and social enterprise Emmaus UK with a broad understanding of the issues surrounding welfare reform and social exclusion. I coordinate monitoring and evaluation and have previously worked in fundraising roles as well. 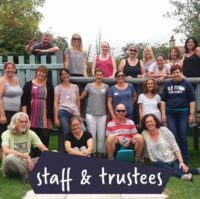 I am recently retired having been the Assistant Director Finance and Business Planning of the Friends Therapeutic Community Trust. My responsibilities included developing a business plan and service development strategy, management of the capital assets including oversight of the maintenance and development process and organisation of cash and resources. 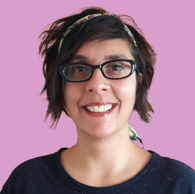 I am the PR and Marketing Co-ordinator at Headway Cambridgeshire and previously worked at the homelessness charity Emmaus for 8 years as their Communications Manager. I have been a free-lance journalist and also part of a team researching the mental health of GPs and helping to train medical students to deliver bad news to patients. I have published three novels and am at present working on my fourth. Now semi-retired, I have worked in the public sector for over 30 years. I set up the Youth Offending Service in Cambridgeshire in 1999, and later became Chief Executive of Peterborough and Cambs Connexions. I have worked as a Director at the County Council, initially in Children's Services and then in Communities. I have worked in another local charity for over 20 years - currently as Director. So I have experience on 'both sides of the table'. I work directly with young people. 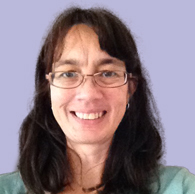 I am a qualified social worker and have a research background. 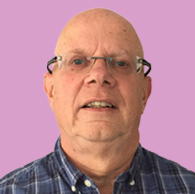 I am an HCPC registered Social Worker, qualified in 1982 and worked for Cambridgeshire County Council as a practitioner, manager and commissioner for 34 years. 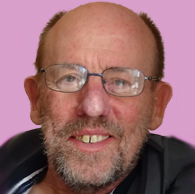 Semi-retired since May 2017, I have a mixed portfolio of paid and voluntary work. My paid activity continues to give me local, regional and national experience particularly in the field of SEND and Social Care for disabled children and young people. Voluntary work includes being a trustee of three charities and being a Panel Member for a therapeutic fostering service. 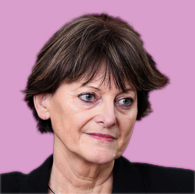 I have 30 years’ experience in education, as a linguist, teacher and published researcher I have held senior leadership roles in 3 UK universities (TVU, ARU, UoW) and was Deputy Vice Chancellor at the University of Westminster until retiring in 2015. I am a committed and enthusiastic supporter and promoter of education and cultural engagement as agents of social cohesion and change. I have 25 years of experience working in social care and social work with children, young people, families and adults with specific needs. I have worked as a Social Worker, a local authority manager, and a University teacher. I have experience with commissioning and contracting, evaluating service, and using quality assurance process to raise practice standards. I am Managing Director of a health care business providing services to local authorities. My experience is with costings, writing tenders, drawing up business plans, recruiting staff, evaluating performance and handling complaints. I have previously been Chair of the Trustees at Centre 33. I am an HR professional and an accredited counsellor. I have many years’ experience working in senior HR positions within a variety of industry sectors. I completed a Diploma in Counselling in 2010 and gained by BACP accreditation in 2016. Prior to setting up my own private practice in counselling and coaching I volunteered as a counsellor at Centre 33 for 5 years. I am also a qualified coach and workplace mediator. Our volunteer base is absolutely critical to Centre 33. We have a large and committed team of volunteers doing everything from answering the phone to providing counselling to attending trips with young carers and fixing broken locks!